After covering other people’s gardens I’m returning to cover my own. I’m back at work now and not been too well at weekends, so garden has been neglected. The lawn needs a mow, but not looking hopeful for getting out. Over the last few weeks got a few of the wedding presents planted. Still got a few more to grow on and find places for. Monty Don named this as an essential garden plant a few weeks back. It’s a plant that can cope with a variety of situations, sun or shade, and fairly drought tolerant. I’ve got some growing in the front garden. A few have self-seeded and can be moved to other spots now. I received another from Aunt Pin from the wedding. This one has gone in the back garden in a shady spot. 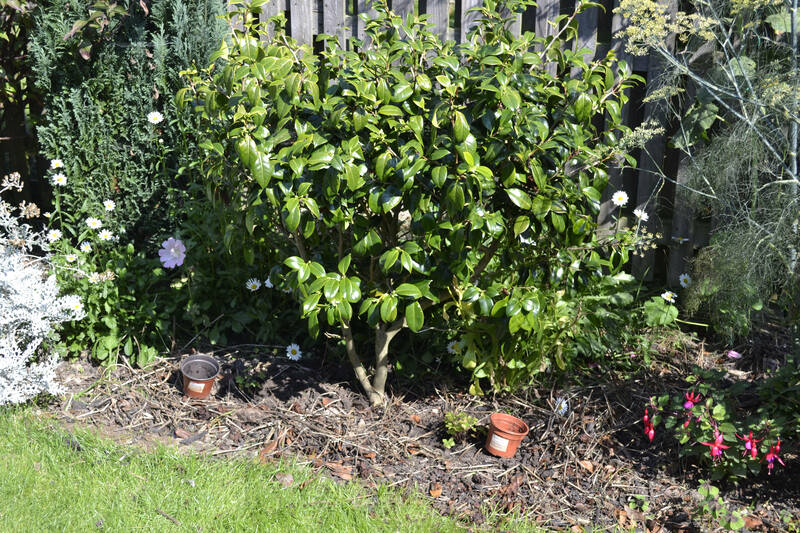 It will provide a nice bit of ground cover foliage Not a flashy plant, but a good backbone plant for the garden. Another wedding present, I received two of these. 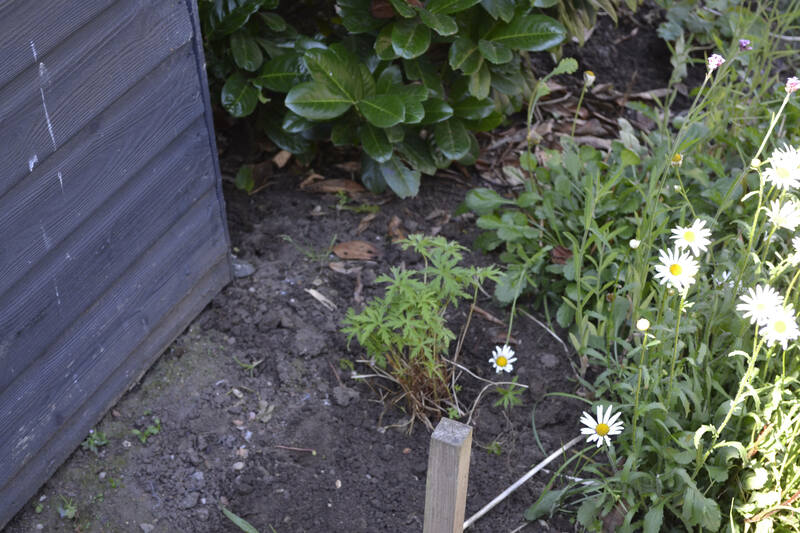 I’ve planted them either side of the path near the shed. They’ll provide a decent patch of ground cover and flowers for a reasonable period. It’ll grow to about half a metre and then spread across the round. 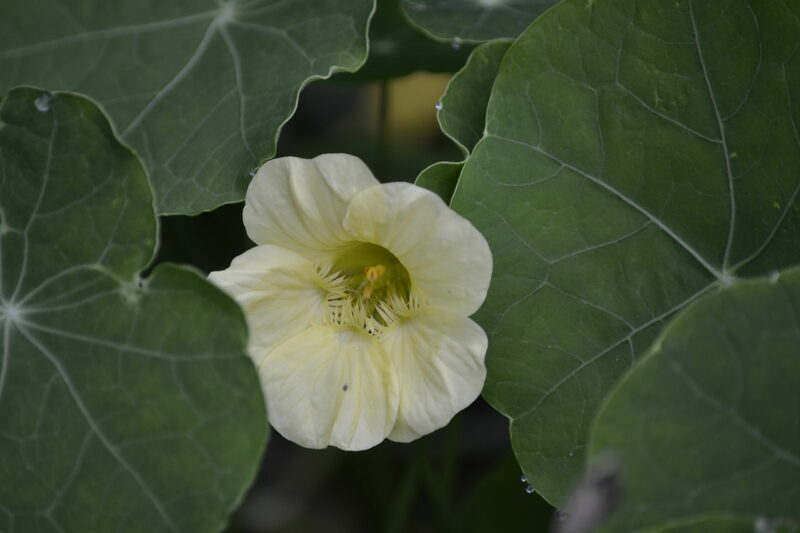 They have nice white veined flowers when in bloom. 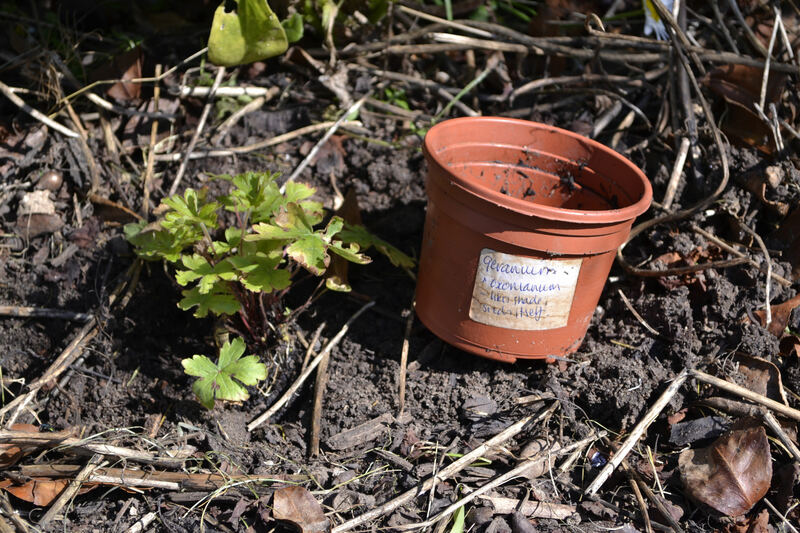 From the wedding haul again, I’ve planted two of these small geraniums under the camelia. They strike me as a variety that will spread, colonising the area, which is fine with me. Geraniums pretty much always bring the pollinators, which I’m in favour of. If they start taking over, got space to take seedlings to the school garden. Another hardy option, that will grow to a bigger height. 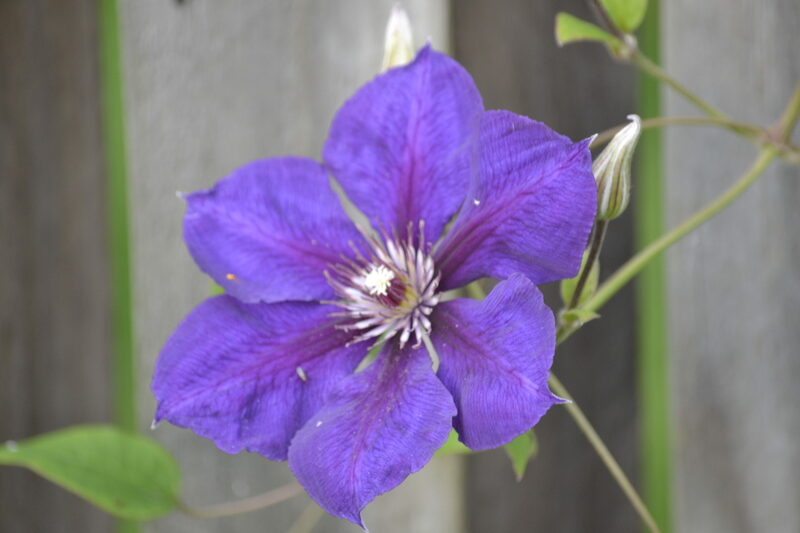 This clematis was in place when we moved in. It had sprawled over but wasn’t flowering much. I cut it back hard last year and come back better. Lovely purple blooms. Unsure of the type as there are quite a few that look similar. These featured earlier in the year. 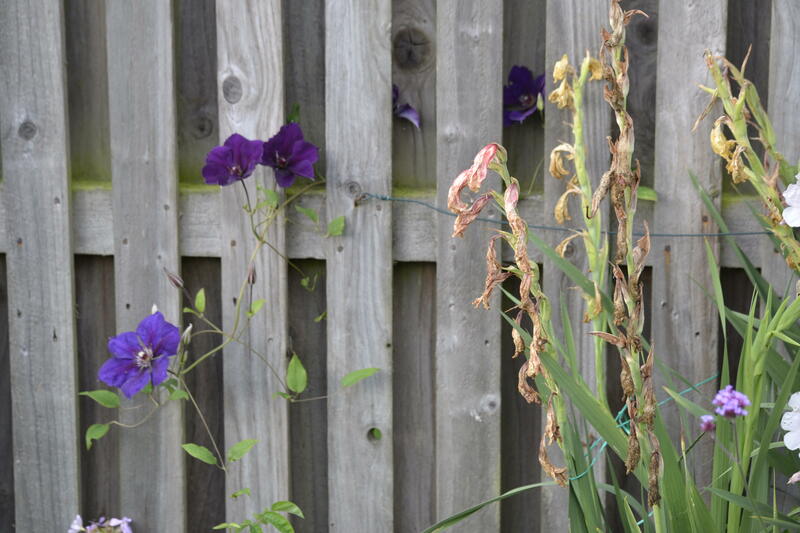 I trimmed them back as they’d become a bit untidy and been rewarded with a new flush of flowers. This perennial covered all of this border when we moved in. Despite digging over the border I still have some return each Summer. It flowers quite nicely through the apple tree looking like blossom. It is, however, a thug that spreads, so I rip handfuls out regularly. Hope you all have good weekends. Check the propagators six to see more. Read the comments to see what other gardeners are up to. 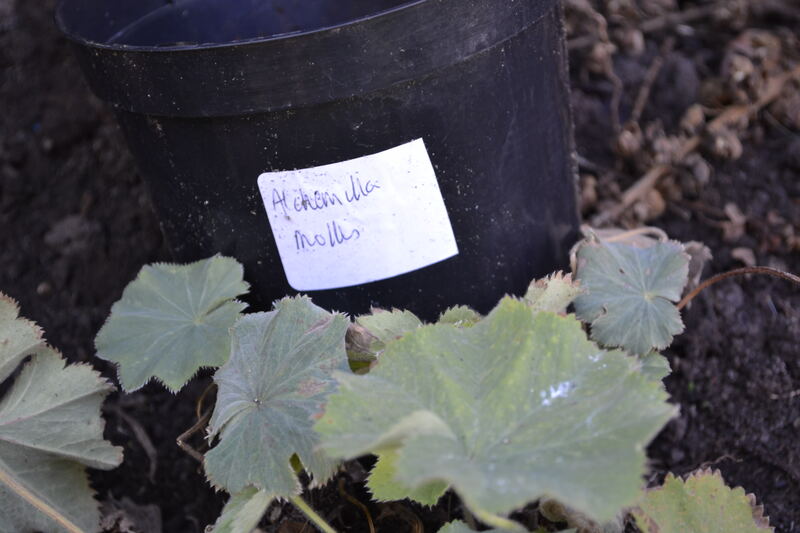 Alchemilla mollis are a very nice plants ( a bit invasive) , especially with raindrops on the leaves ! 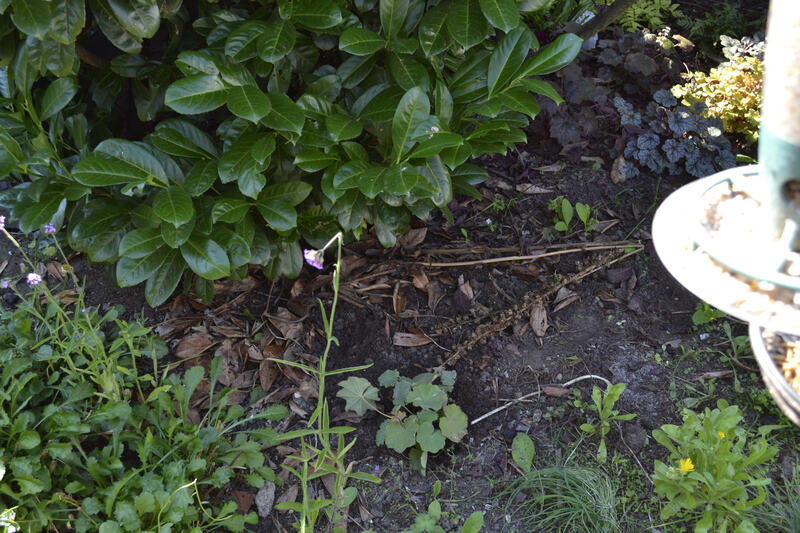 About your unknown plant, could it be a Saponaria? Looking on google I think you might be right. 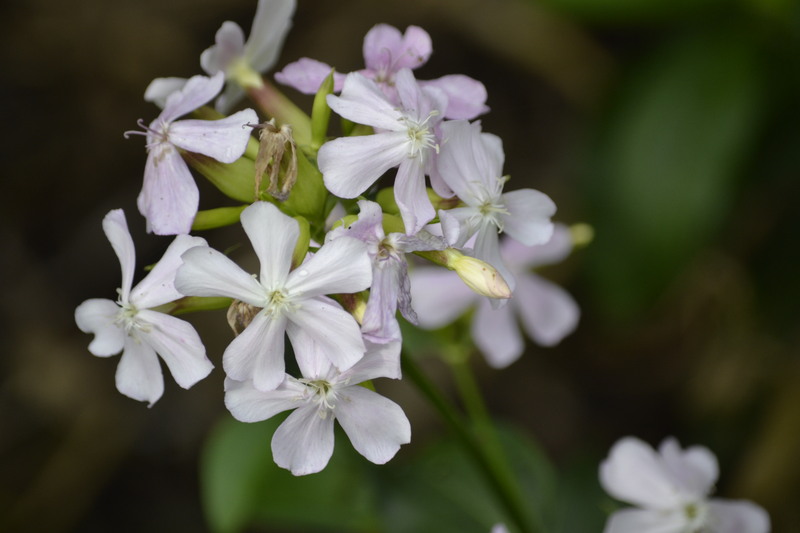 Saponaria officinalis, wild sweet William. Thanks for the ID. 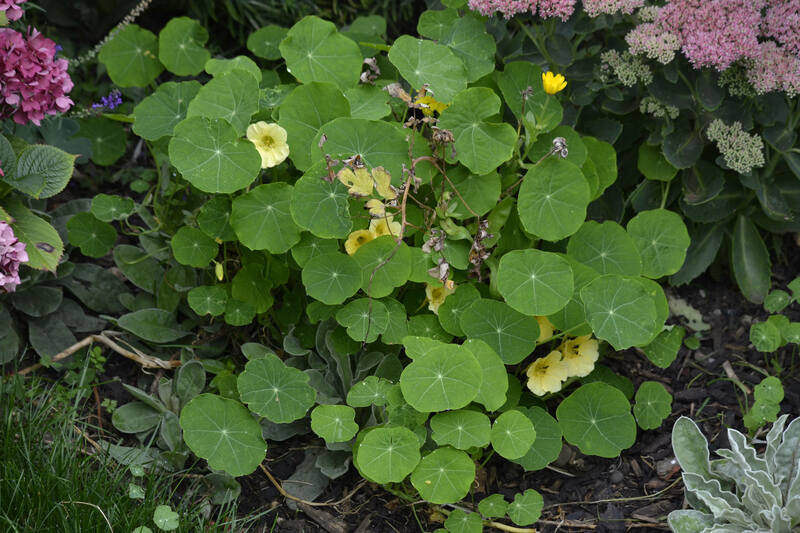 The alchemilla has spread well over the front garden, but seedlings are easy enough to remove. Two years in just about filled most space, can start selecting what stays and goes from self seeders. Nice to be planting those wedding presents! It is. Still got some bulbs to go in and a few plants I don’t have a decent space in mind for yet.